Cremation may have been a method of disposing of dead bodies for thousands of years, but it has only available in Liverpool since the end of the 19th Century. It is also only in recent decades that dedicated plots in cemeteries for cremated remains have been available. Although common among the Ancient Greeks and Romans, by the 5th Century AD cremation was virtually unheard of in Europe as Christianity sought to do away with their rituals. It even carried the death penalty some countries, but would also be used as a way of punishing heretics. It was not until the 1870s that physicians, concerned about poor sanitation in a rapidly increasing population, began to call for cremation to be legalised. In 1873 at the Congress of Vienna Professor Brunetti of Padua displayed his cremation apparatus and ashes and the following year the Cremation society of Great Britain was formed. The first legal cremation in the United Kingdom took place in March 1885 in Woking, although there were only two more there that year and ten in 1886. Further crematoriums opened in Manchester in 1892 and Glasgow in 1895. Designed by James Rhind, the crematorium at Liverpool’s Anfield Cemetery was the fourth in the country. It was opened by Frederick Stanley the Earl of Derby in September 1896. The first resident manager was William Sargeant who placed advertisements in the local press inviting people to inspect the premises for a payment of 6d. It is now a Grade II listed building and has one chapel. A second crematorium in the city at Springwood in Allerton opened in 1975. Set within landscaped gardens, it has two chapels meaning up to four cremations an hour can be carried out. When a loved one is cremated it is common to have the ashes scattered at a favourite place, such as a football ground or river. However it is also an option to inter the remains in a cemetery. At Anfield Cemetery a niche space can be purchased in a colonnade wall which was added in 1951, replacing a columbarium that had been in a crypt underneath the crematorium. Up to two wooden caskets of cremated remains can be placed in the niche and a memorial plaque and if desired a photograph can then be placed over it. The cremated remains will stay for five or ten years, with the option to extend this time period for a fee. Anfield Cemetery also contains a book of remembrance, w here a permanent handwritten entry accompanied by a motif painted by a craftsman can be made. Both Anfield and Springwood have memorial rose gardens, where ashes can be scattered and a memorial plaque with black lettering on a gold background added to an existing rose. This is available for extendable five year periods, as are memorial plaques mounted onto the wall of the Book of Remembrance Room or Garden of Remembrance. Springwood Crematorium has a dedicated Baby Garden, where plaques can be added to a memorial wall. These come with a decorative motif and are available for a period of five years, with the option to purchase another five. Each plaque is displayed for a five year period. A further five years may be purchased upon expiry, but if a further five year period is not purchased the plaque will be removed from display and given to the family if desired. Anfield, Allerton, Kirkdale cemeteries have plots available purely for the burial of cremated remains, which can accommodate a maximum of four urns and be leased for up to 75 years. Sarsfield has a range memorial and tablet options, although they can be no greater in height than three feet six inches. Sarsfield Memorials provides a range of memorials for cremated remains in Liverpool’s cemeteries, from tablets and plaques to headstones, but not rose garden plaques which are council made. Examples can be viewed here and please contact us to discuss further and a no obligation quotation. A new statue of The Beatles at the Liverpool waterfront has been unveiled to commemorate the 50th anniversary of the last time the band played in the city on 5th December 1965. Neither John Lennon or George Harrison have grave markers anywhere, their ashes having been opened privately, but there are other people connected with the Fab Four who are buried in Liverpool. Both Paul McCartney and John Lennon lost their mothers while they were teenagers. Paul’s other Mary died in 1956 when blood complications arose following a mastectomy and she was buried in Yew Tree Cemetery. John’s mother Julia was knocked down by a car on Menlove Avenue in 1958 and buried in Allerton Cemetery. 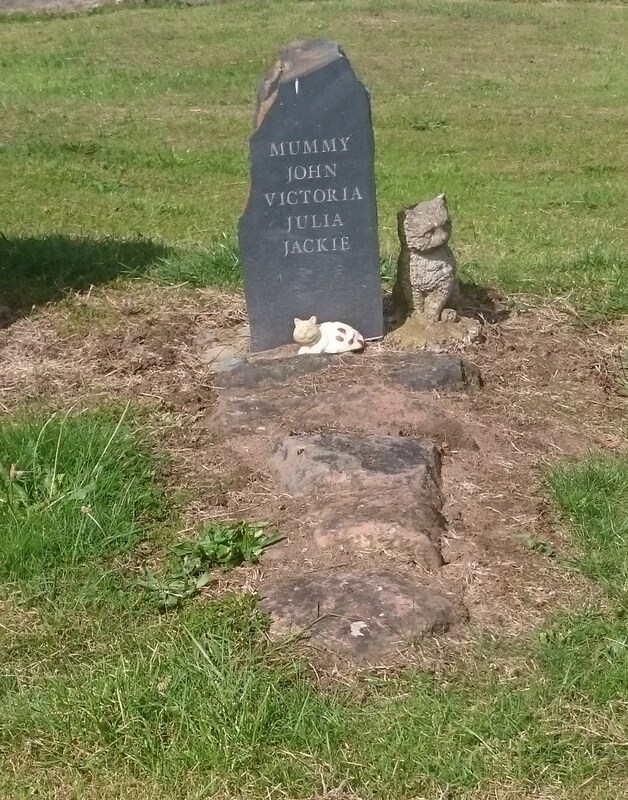 For many years her grave was unmarked and a simple stone marker now stands there, bearing the names of her four children. Only three of the four lads that went on to conquer the world played in the group’s residency gigs in Hamburg in the early days. The drummer then was Peter Best, who was replaced by Ringo Starr shortly before the first single Love Me Do was released. the concerts in Hamburg were performed by a five piece band, with Stuart Sutcliffe on bass guitar. He left the group to concentrate on an art career in July 1961 after their second stint in the city. He tragically died of a brain hemorrhage on 10th April the following year, just three days before the rest of the group arrived in the city to begin a six week residency at the Star Club. Manager Brian Epstein flew out their with Stuart’s mother and arranged for the body to be brought back to Liverpool, with the burial taking place at Huyton Parish Church. Epstein, who ov ersaw the groups sensational rise to worldwide stardom, also had a tragically early death, at the age of just 32, in 1967. He was found in his London flat and was believed to have accidentally overdosed on medication. To allow the family some privacy, the band members did not attend the funeral or burial, which took place at the Jewish section of Everton Cemetery. When Ringo Starr joined he group in August 1962, he did so from Rory Storm and the Hurricanes, who were billed ahead of The Beatles in Hamburg in October 1960. The group though never hit the heights, both of their singles failing to make the charts. After disbanding in 1967 Storm became a DJ before returning to Liverpool to live with his mother after his father’s death. On 28th September 1972, Storm and his mother were found dead at their home in Broadgreen Road. Alcohol and sleeping pills were found in his bloodstream and it was believed that after finding her son’s body , his mother Violet had deliberately overdosed to kill herself. They were cremated together and the ashes scattered at Anfield Cemetery’s garden of remembrance. One of The Beatles many number one hits was Eleanor Rigby, who is buried in St Peter’s Churchyard in Woolton. Eleanor was a scullery maid and died of a brain hemorrhage in 1939 at the age of 44. Even though Paul McCartney and John Lennon would often go there, McCartney maintains this is purely coincidental, although has admitted the lyrics of the song could have come about due to his subconscious. Whatever the truth is regarding Eleanor Rigby the gravestone, which was only discovered in 1980, has become a stop on the Beatles tourist trail, with taxis and minibuses often seen outside the churchyard. The other graves too are often tracked down by Beatles fans who have visited the city from all corners of the world.